According to the Intellectual Property Office's Facts and Figures for 2016 and 2017, 24 out of the 38 inter partes disputes that came before the Office's tribunals arose from disputes over ownership of inventions. This can be an expensive and time consuming process as I explained in Disputes over Ownership of Inventions 6 Aug 2015 NIPC Southeast. Disputes over ownership of other intellectual property ("IP") rights result in infringement actions like MEI Fields Designs Ltd v Saffron Cards and Gifts Ltd and another  EWHC 1332 (IPEC) (6 June 2018) which I discussed in Copyright: MEI Designs Ltd. and Saffron Cards and Gifts Ltd. 8 Aug 2018. Many of those disputes arise out of collaboration between different business entities where no or insufficient attention was paid to such questions as who should own or be entitled to use or exploit any intellectual assets that might result from their working together and on what terms. To encourage business-to-business collaboration the government has suggested model agreements in its green paper Building Our Industrial Strategy Following further consultation on the idea, the Intellectual Property Office ("IPO") held round table discussions on the topic in London, Birmingham and Manchester in July. 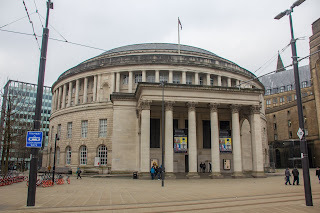 I attended the Manchester one at Central Library and blogged about it in IPO Consultation - Business to Business Collaboration Agreements 23 July 2018 IP Northwest. The next step is a working group to consider what should be in and possibly draw up such agreements on which I volunteered to serve but it will be some time before any model agreements see the light of day if, indeed, they ever do. In the meantime, here are some tips on what businesses should do when engaging a consultant, negotiating a licence or contemplating such other type of joint venture. A good place to start are the animations by the IPO , WIPO and other organizations on YouTube. I discussed some of these in Animated Advice on 18 March 2016 in NIPC News. There is a lot of information and advice on the IPO's pages of the government website as well as this blog and the others that I keep. 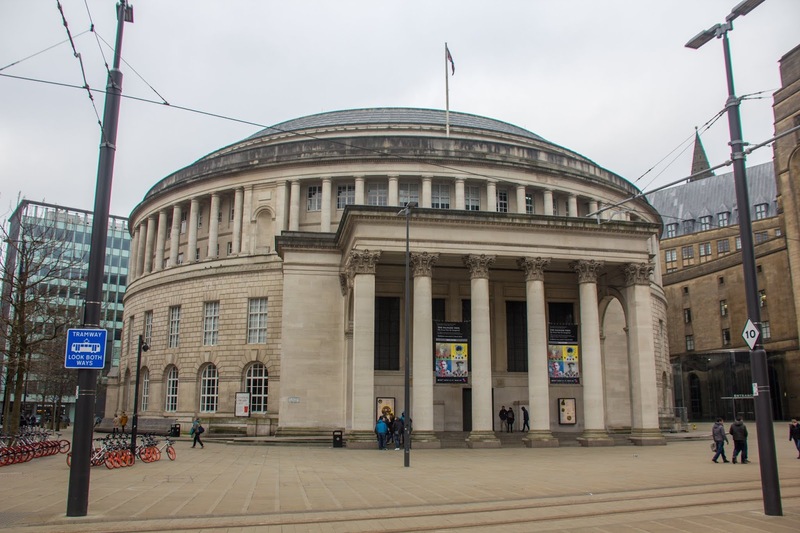 Other useful resources include the British Library's Business and IP Centre and its associated libraries around the country. These and other organizations offer talks, workshops, seminars and other courses around the country at various levels many of which are free. IP is an important to business as it restricts access to markets and can generate revenue. It should be part of every business plan though it seldom is. Acquiring, defending and enforcing IP requires resources and planning. Thought should be given to identifying the assets that most require legal protection, choosing the optimum form of protection and funding any litigation that may be necessary. Such a strategy is also vital for establishing negotiating objectives in any collaboration discussions. Usually the person who creates an intellectual asset is entitled to the legal protection of that asset. If more than one party contributes to the creation of the asset the IP in relation to that asset is likely to be shared by them. That can result in difficulty if one party wants to grant a licence but the other does not or if the IP is infringed. It is usually desirable for one party to own the IP and the other to enjoy a licence under it. The business that takes a licence or a licence back has to negotiate terms that enable him or her to do everything that his or her business requires including the enforcement of the IP right. The IP owner for his or her part needs to make sure that he or she is indemnified against the costs of any litigation that he or she launches on behalf of the licensee, that he or she receives an adequate royalty or licence fee and that the licensee does nothing to harm the licensor's interests. Following Sir Richard Lambert's final report on Business-University Collaboration a committee of lawyers, academics and business leaders prepared a series of model collaboration agreements and guides known as the Lambert Toolkit. I participated in one of the meetings to draw up those agreements in 2014. Though the toolkit is designed for collaboration with universities much of the guidance applies equally to business-to-business collaboration and many of the model agreements can be adapted. The agreements have been reviewed, modified and added to several times since their first publication. Litigation and, as I noted above, even entitlement proceedings in the IPO tribunals can be expensive and time consuming. My involvement with the Lambert working group was confined to proposing alternatives to litigation and IPO proceedings. Unfortunately, my proposals were not accepted for business and university collaboration. Businesses might well take a different view and there are now specialist IP mediation and arbitration services offered by the IPO and WIPO respectively. Although business owners and managers are best placed to negotiate the business essentials, they will need to reduce them to writing. That can be tricky and they should not try to do that for themselves. All correspondence in hard copy or email and any heads of agreement should be "subject to formal written agreement". Advice should be sought from a specialist solicitor, patent or trade mark attorney or a member of the Intellectual Property Bar Association under the public access scheme (see Jane Lambert IP Services from Barristers 6 April 2013 NIPC News). Anyone wishing to discuss this article or collaboration agreements in general should call me on 020 7404 5252 during office hours or send me a message through my contact form.